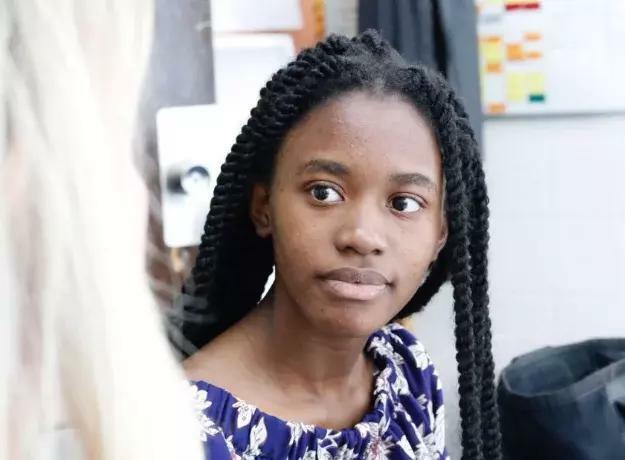 An 18-year-old Nigerian girl has left the world in complete astonishment after getting admitted into fourteen of the top universities in the world. Of these schools, Harvard, Princeton, Stanford and Duke were listed. 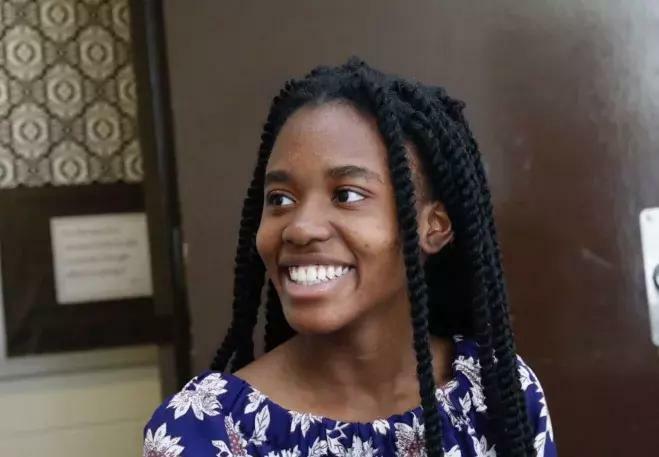 Olawunmi Akinlemibola, the 18-year-old Nigerian girl who got admitted into 14 ivy league schools. 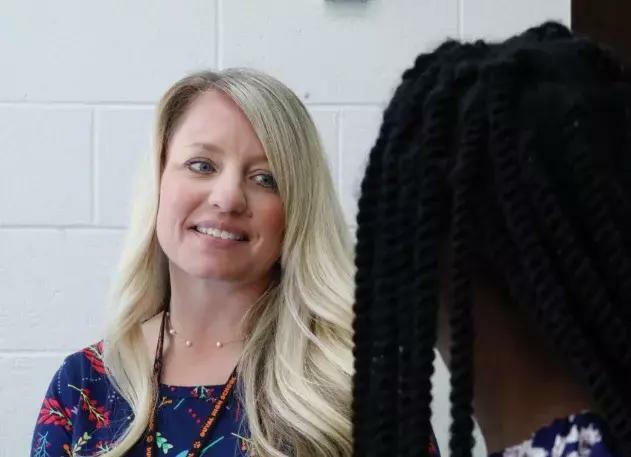 Akinlemibola became a sought-after student as a result of her 4.15 grade-point and the 53 college credits she had taken through the Prince George’s county school system’s dual enrollment program with local colleges. 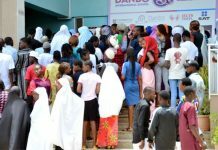 NAIJ.com gathered that the bright Nigerian girl is not only a geek; she is well-rounded as she was at some point the captain of the school’s soccer team. Of the 300 students at the Lanham Maryland high school, Akinlemibola stood out in the group. Akinlemibola with Stacy Kline, her counselor. Akinlemibola who had always been a voracious reader attributed her success to her curiosity and the climate at Duval. She offers study tips and strategies for tackling the classes that may be difficult with her mates. The remarkably bright girl had a grade point of 4.15. 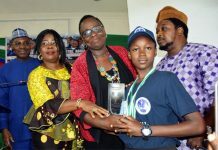 The Nigerian girl said her mother is her source of inspiration and encouragement. The brainiac’s mother and her two sisters live in Nigeria so she communicates more with them on the phone. The bright student who lives with her father in Prince George’s county revealed that her mother did not go to college and that her father works as a security officer. She and her two little sisters however enjoy learning. Akinlemibola was the captain of the soccer team at some point. Her mother is most likely to join them soon according to her. The older lady had promised that her two sisters will outshine her as soon as they get to the high school age. Akinlemibola accepted that they are smarter than her. Although the intelligent girl is saddled with the responsibility of making a life changing decision with the schools lined up for her to choose, she is currently bothered about what to wear to prom. Meanwhile, ladies in Nigeria are doing their best to make something out of life. Source: Naij.com — Nigerian newspapers today.